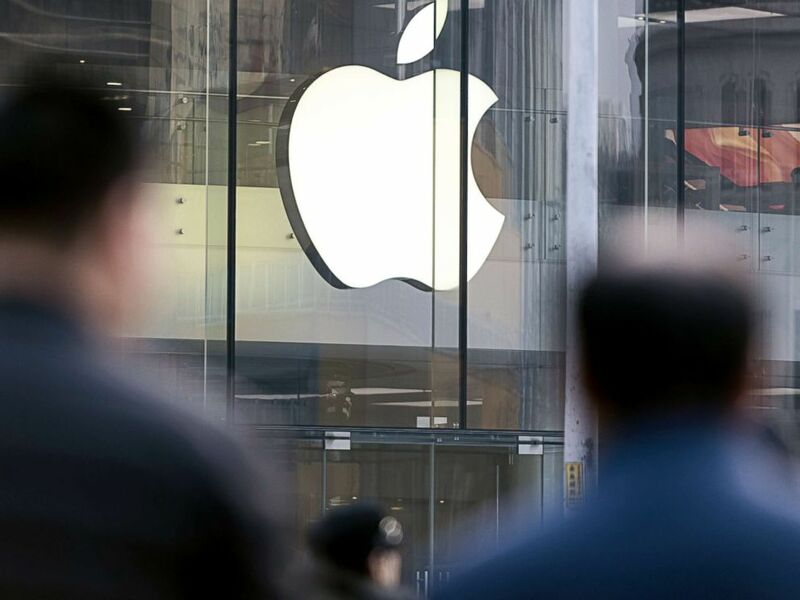 The Dow Jones Industrial Average dropped more than 500 points in early trade Thursday as investors digested a warning issued by Apple CEO Tim Cook. 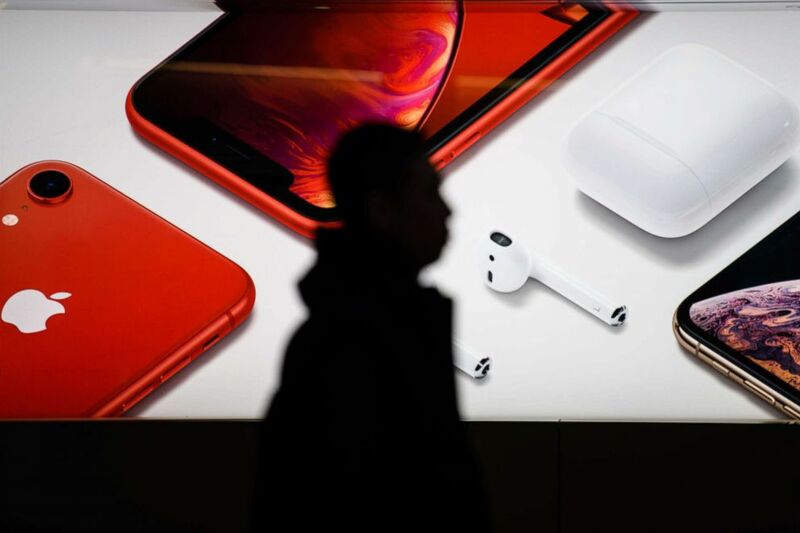 Cook told shareholders on Wednesday that the company’s iPhone sales would come in lower than expected largely due to weak economic growth in a key market: China. The announcement added to overall fears that the Chinese economy was slowing and the trade war with Beijing showed no signs of letting up. 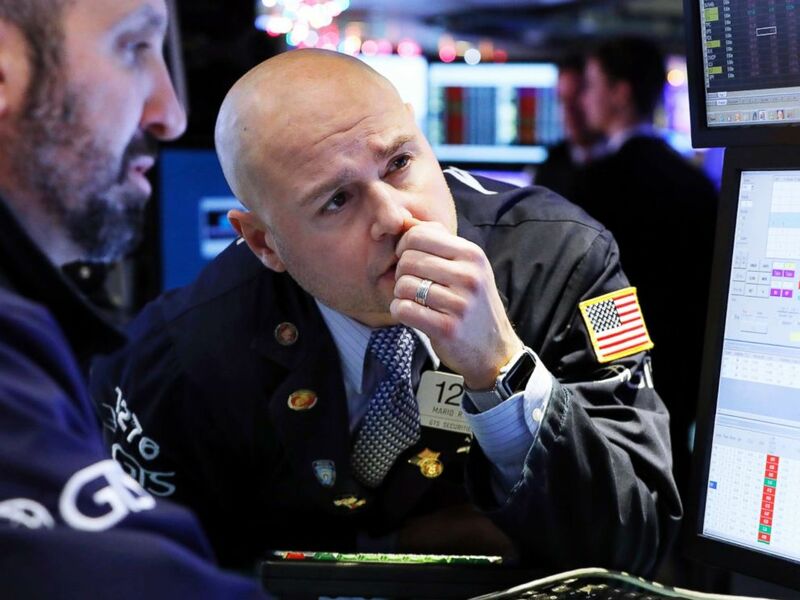 Specialist Mario Picone, center, works on the floor of the New York Stock Exchange, Jan. 2, 2019. The Dow traded 574 points or 2.5 percent lower at 22,771 in the first hour of trade. The tech-heavy Nasdaq was off 2.5 percent at 6,502. The S&P 500 index was also down, trading 2.5 percent lower at 2,449. Apple shares fell nearly 10 percent at the open to $142. The company still expects to make $84 billion in the last quarter but revised its forecast from an original projected range of $89 billion to $93 billion. A man walks past an Apple store in Hong Kong, Jan. 3, 2019. “While we anticipated some challenges in key emerging markets, we did not foresee the magnitude of the economic deceleration, particularly in Greater China. In fact, most of our revenue shortfall to our guidance, and over 100 percent of our year-over-year worldwide revenue decline, occurred in Greater China across iPhone, Mac and iPad,” Cook wrote in a letter. Fears of a slowdown in the Chinese economy and a trade war have been echoed by economists and analysts in their concerns about the markets in general. Pedestrians walk past the Apple store in Beijing, China, Jan. 3, 2019. Instinet has a neutral rating on the stock.